It's amazing what we photographers can do with the latest generation of radio-controlled Speedlites! For this photo, I turned my second photographer's flash into a slave for a short time so that it fired along with my camera's shutter. 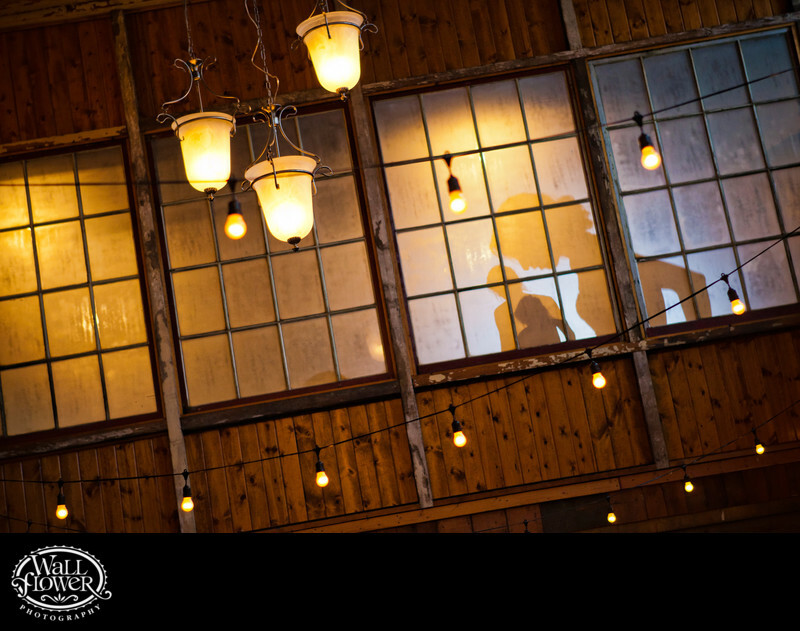 She was in the bride's getting-ready room at Sodo Park in Seattle, and aimed the flash at the bride to project her silhouette against the room's frosted windows.